Throwbacks in education are common. This time, Robert Pondiscio, a Senior Fellow and Vice President for External Affairs at the Thomas B. Fordham Institution is itching for a fight to reopen old “reading war” wounds. He has taken umbrage with the NYTimes (7/2/14) opinion piece Balanced Literacy Is One Effective Approach by Lucy Calkins: Director of the Teachers College Reading and Writing Project at Columbia University and a proponent of balanced literacy. Pondiscio’s op-ed (7/3/2014) titled, Why Johnny Won’t Learn to Read charges back into the heat of that fight as he referenced the 1997 National Reading Panel’s review of studies on the teaching of reading. Since 1997, the term “balanced literacy” has come to mean that the parts of the phonics approach should be in good proportions with other approaches for teaching reading and writing. Pondiscio however, recasts the phrase “balanced literacy” in mythological terms, as a hydra…“a new head for whole language.” His interpretation is unsupported by definition. Teaching vocabulary words—teaching new words, either as they appear in text, or by introducing new words separately. This type of instruction also aids reading ability. Reading comprehension strategies—techniques for helping individuals to understand what they read. Such techniques involve having students summarize what they’ve read, to gain a better understanding of the material. Beyond his use of the NRP’s 17 year-old-study, there is another problem in his choice of evidence, a quote by Susan Pimentel, one of the “principal authors of the Common Core.” Pimentel lacks the academic credentials to qualify her as an expert in literacy (BS Early Childhood; Law Degree) in her claims that balanced literacy is “worrisome and runs counter to the letter and spirit of Common Core.” In contrast, many early literacy educators find the ELA CCSS worrisome, running counter to the spirit of new and emerging readers. 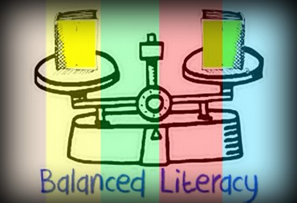 But what is Pondiscio most damning complaint against balanced literacy? Let me repeat his concern. Pondiscio is distressed that a student may respond emotionally to a work of literature. I quite am certain that a personal response in a reader is exactly what any author of literature hopes to achieve. Reading literature is more than a decoding exercise. Reading literature at any age, especially good complex literature, is an exercise that connects the reader and the author in an intimate bond of empathy. Balanced literacy does require a student use evidence from a text, but the advantage to balanced literacy is that it recognizes that students cannot be silenced on what they think or feel about their reading, whether the choice of texts is theirs or not. Pondiscio’s issue with whole language is that it emphasized reading for meaning instead of spelling, grammar, and sounding words out. In making this final part of his argument, Pondiscio reduces words to data or things devoid of meaning. Such thinking reminds me of a line from Al Pacino’s Looking for Richard, a film study on William Shakespeare’s Richard III. If we think words are things and have no feelings in words…then we say things to each other that mean nothing. But if we felt what we said, we’d say less and mean more. The pan-handler shuffles off after offering his personal explanation on words and meaning. Pondiscio claims he wants “students to grapple with challenging texts that are worth reading,” but grappling with what the pan-handler says about the meaning of words in those texts, challenging or not, is even more important.